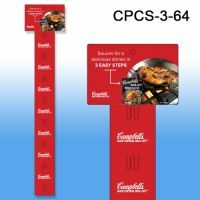 Home/Clip Strip®/Econo Strips by Clip Strip Corp.
Econo Strips­™ by Clip Strip Corp. (aka "Economy Strips") are available in many different styles. 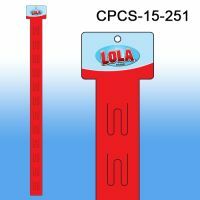 They are the most affordable Clip Strip ® we manufacture and are designed to fit most merchandising budgets. 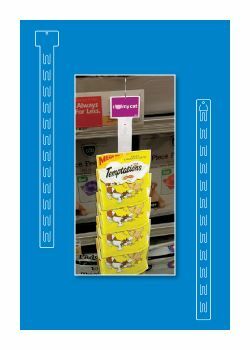 These hang strips, also known as product merchandisers, are designed to support lighter items than our other molded plastic or metal display strips in our Clip Strip line of products, and they come with shorter or longer spacing to better adapt to the size of the object being displayed. 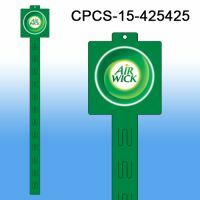 If you need a header on top of your impulse strip to communicate a brand name or store product barcode, there are multiple versions with headers attached or we can add a printed header card. We also have a folding strip version for certain packing requirements. 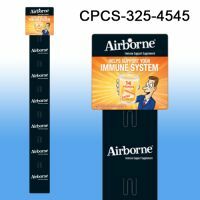 If you are not sure which Econo Strip™ Merchandising Strip is right for you, then request a few free samples to test at your business or send your products to us and we will do the testing for you and help to determine which display strip merchandiser is the most appropriate strip for your point of purchase product merchandising needs. 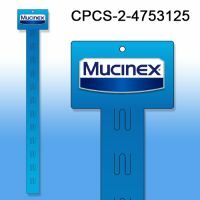 We invented the merchandising strip; let our experience work to your advantage. Minimum quantity for "Econo Strip™ Lite, 6 Hooks, 12-3/8" Long, Clip Strip® Brand, EL-6NT" is 100. Minimum quantity for "Econo Strip™ Lite, 12 Hooks, 23" Long, Clip Strip® Brand, EL-12NT" is 100. 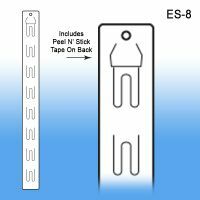 Minimum quantity for "Econo Strip™ Heavy Duty, 8 Hooks, 16" Long, Clip Strip® Brand, with Tape, ES-8" is 100. Minimum quantity for "Econo Strip™ Heavy Duty, 12 Hooks, 23" Long, Clip Strip® Brand, with Tape, ES-12" is 100. Minimum quantity for "Econo Strip™ Heavy Duty, 12 Hooks, 23" Long, Clip Strip® Brand, ES-12NT" is 100. Minimum quantity for "Econo Strip™, Extra Long, Heavy Duty, 12 Hooks, 29-1/8" Long, Clip Strip® Brand, EX-30NT" is 100. Minimum quantity for "Econo Header Strip™, Heavy Duty, 12 Hooks, 23-1/2" Long, Clip Strip® Brand, EH-12" is 100. Minimum quantity for "Econo Extra Large Header Strip™, 12 Hooks, 26-1/4" Long, Clip Strip® Brand, EHLX-26" is 100. Minimum quantity for "WalMart® Department 82 Approved "Econo" Clip Strip Merchandiser, 12 hooks, 21" Long, with Header, WMS-12" is 100. 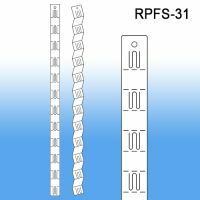 Minimum quantity for "Econo Strip™ Folding Clip Strip® Merchandiser, 12 Hooks, 30" Long, RPFS-31" is 100.